Ultimate Fighting Championship (UFC) is gearing up to stage UFC 236: “Holloway vs Poirier 2,” which goes down this Saturday night (April 13, 2019) inside State Farm Arena in Atlanta, Georgia. In the headlining act, Max Holloway will face Dustin Poirier for the interim Lightweight title on his quest to become a multiple-division champion. The winner will not only collect a new title, but he will lock down a title unification fight with division king Khabib Nurmagomedov later this year. 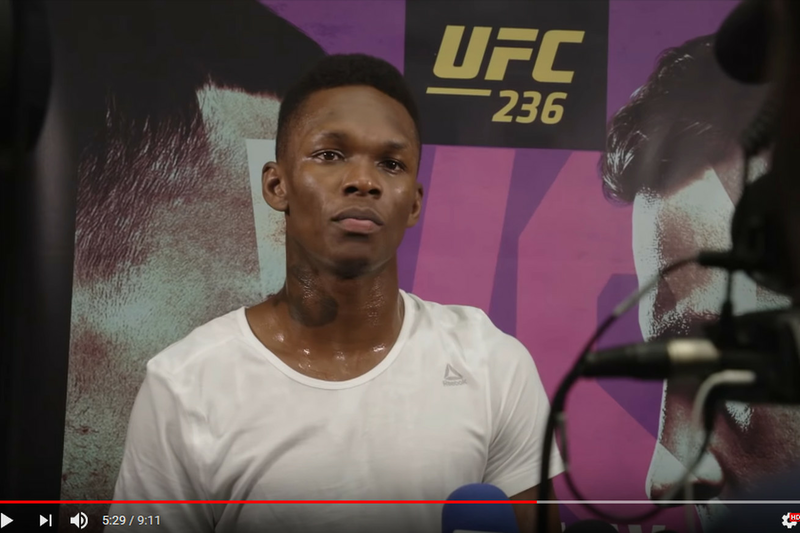 Co-headlining UFC 236— click here to order — will be an interesting interim Middleweight title fight, as Israel Adesanya and Kelvin Gastelum collide for the division strap and the right to face Robert Whittaker sometime in 2019 in a title unification bout. Before all of the action goes down, check out the behind-the-scenes action of fight week as all of the combatants put in the final preparations. From the official YouTube description. On Episode 4 of UFC 236 Embedded, opponents Eryk Anders and Khalil Rountree train for what they predict will be a light heavyweight slugfest. Middleweight title contender Israel Adesanya and lightweight title contender Dustin Poirier show some skin for the camera. Featherweight champion Max Holloway introduces the man who calls the shots during his fights. And the stars of the main and comain, including middleweight title contender Kelvin Gastelum, hype up the crowd at open workouts. To see episode one, two and three of ‘Embedded’ click here, here and here. And to see the most up-to-date UFC 236: “Holloway vs Poirier 2” fight card click here.